Program to be used concurrently with Dennis Kodimer's CEC 222 lab. These instructions will help get you a copy of the project up and running on your local machine. ## Usage Here are some helpful tips and pointers on how to use the software. 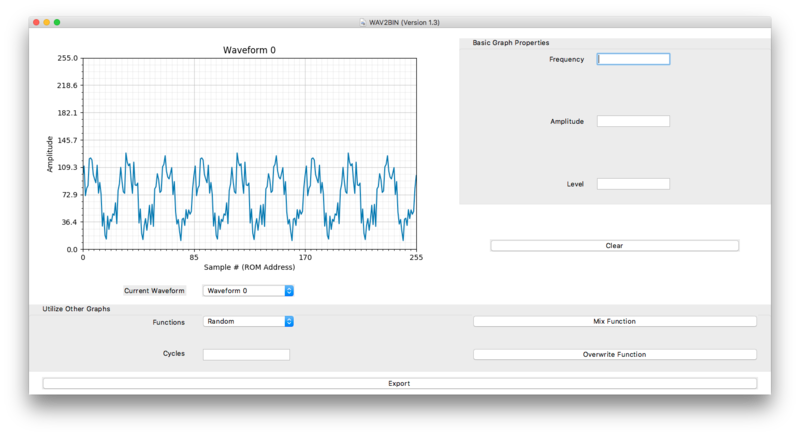 #### Drawing Waveforms Simply move the mouse from left-to-right on the plot to begin drawing a waveform. 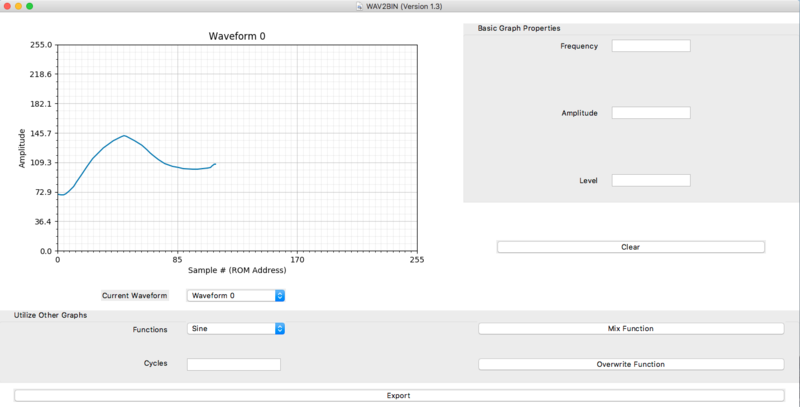 When the right-edge is reached, a complete waveform should be visible. 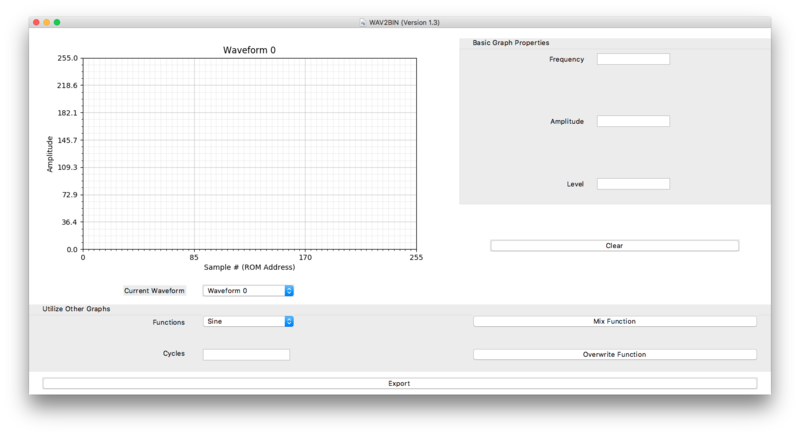 Note: Drawing is disabled when a waveform has been drawn or created. 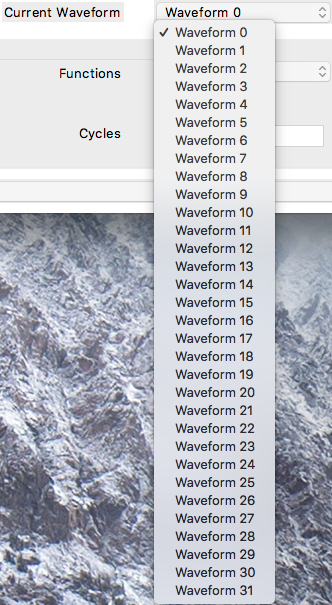 To re-enable this, simply Clear the waveform. Mix Function is additive (will add waveform on top of currently made waveform). Overwrite Function is replacement (will overwrite waveform in place of currently made waveform). Simply enter a value and hit the return key. 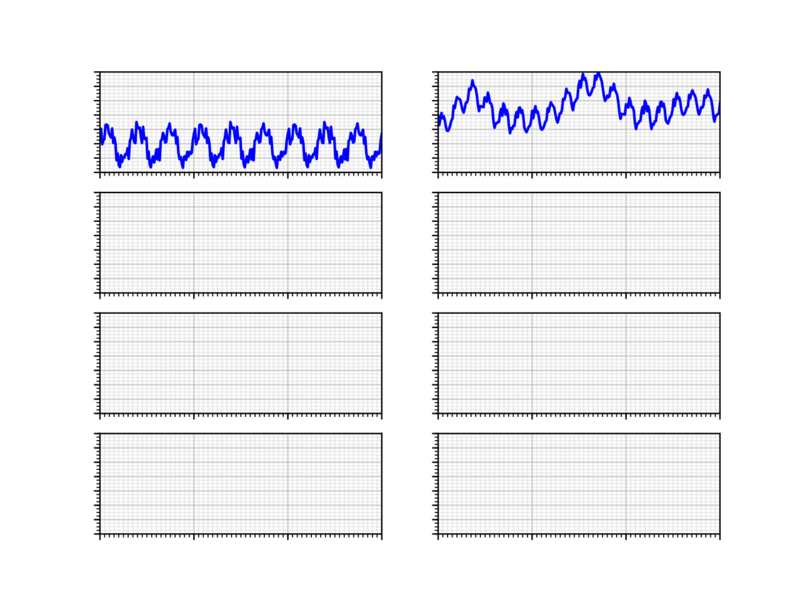 In both cases, the Clear option should reset the waveforms to nothing. 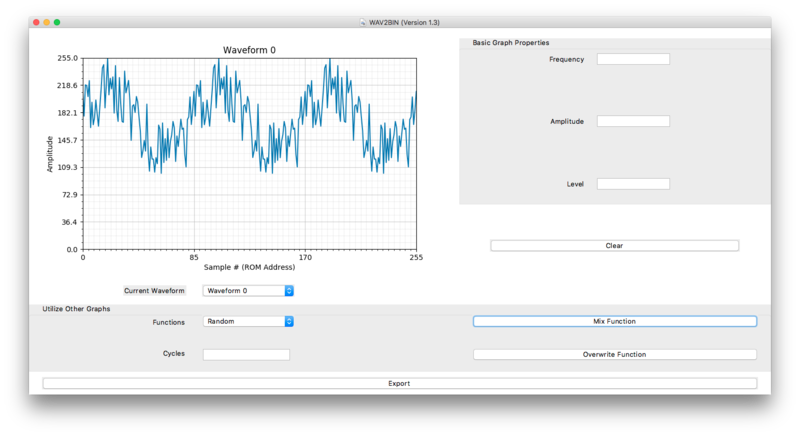 When Creating Waveforms, another waveform can be referenced for usage. Going to Utilize Other Graphs → Functions , by selecting Waveform , another option box appears with values 0 - 31; these are the other waveforms that can be accessed. ### Exporting Graphs Once satisfied with the waveforms, they can all be exported to a .bin file. Simply select Export at the bottom. (There’s an option to print to .pdf following selecting Export ). Followed by the produced .bin file.